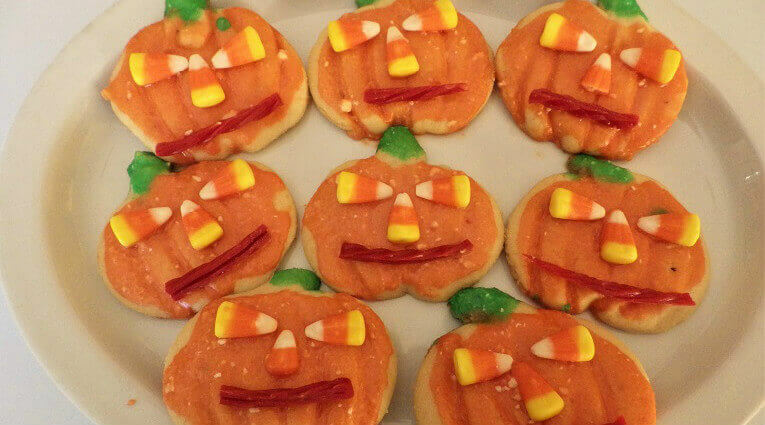 Halloween is a popular holiday that is being celebrated more and more around the world. 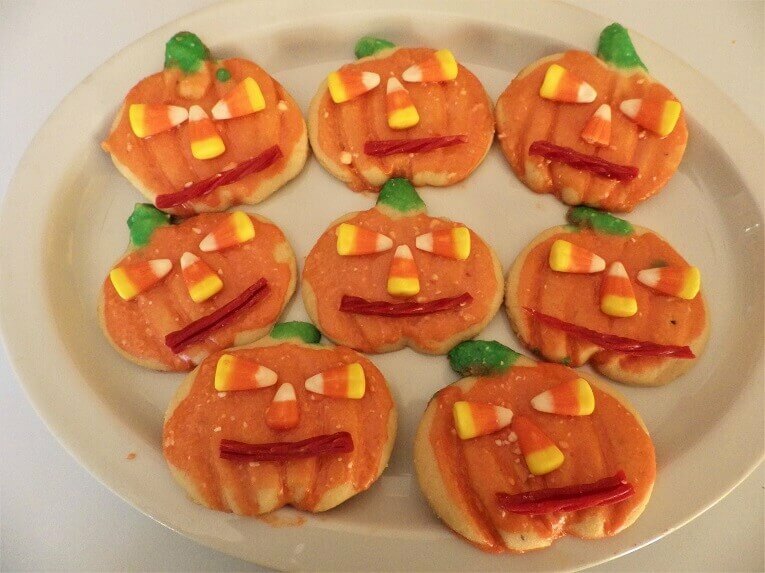 Surrounding Halloween are a whole set of traditional icons from witches on broomsticks to ghosts and goblins and the ever-present Jack ‘O Lantern. People have taken pumpkin carving to a new level and a pumpkin on the doorstep, lit by a candle is a common site across neighborhoods everywhere. 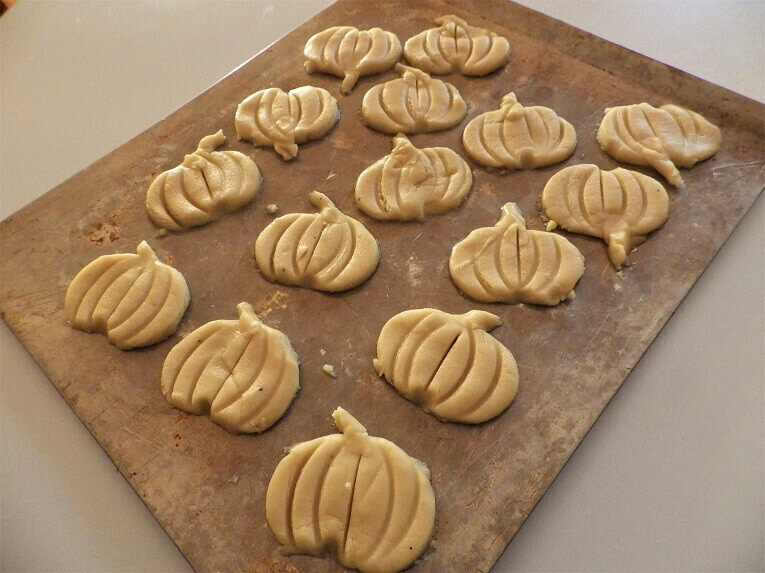 These Jack ‘O Lantern cookies evoke the fun of pumpkin carving and decorating and their easy to make using the pizza dough setting in your bread machine. 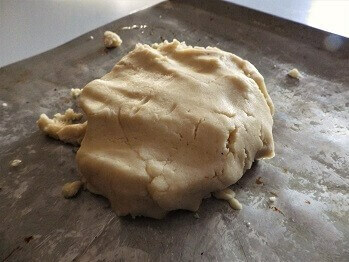 The reason you use the pizza dough setting is because it does not have a long rising time like the dough setting. Once your dough is done you roll them out and form them into a pumpkin shape. The icings and other decorations let you finish the Jack ‘O Lantern appearance. 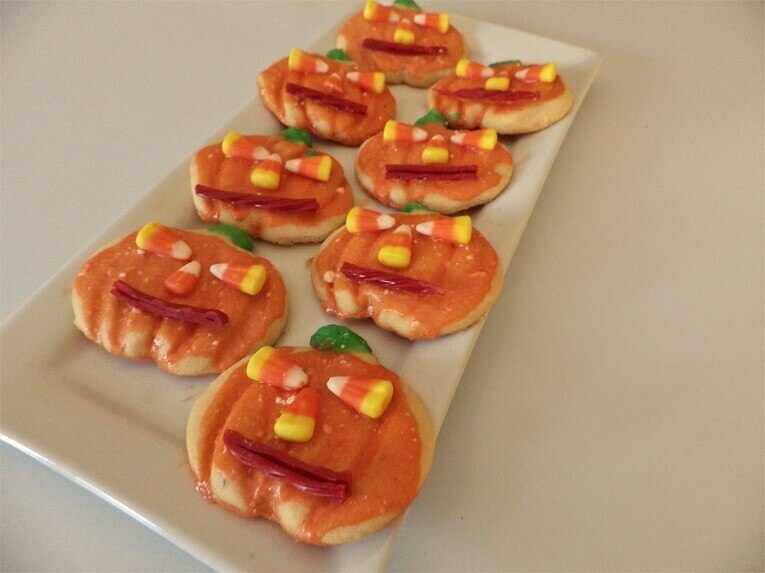 These are sure to be very popular with the kids and add to the fun and festivities of Halloween. Add the ingredients to the bread pan and select the pizza dough course. 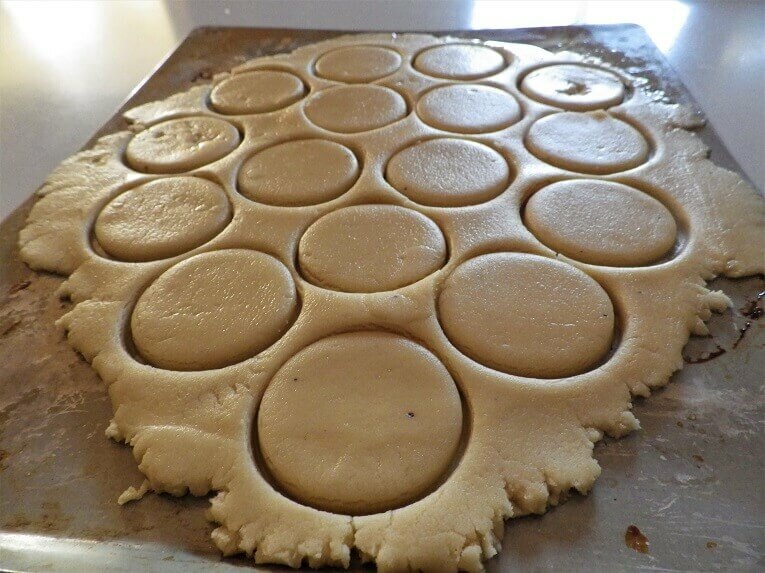 Once the dough is done spoon the cookies onto a greased cookie sheet and flatten them with an oiled spatula. 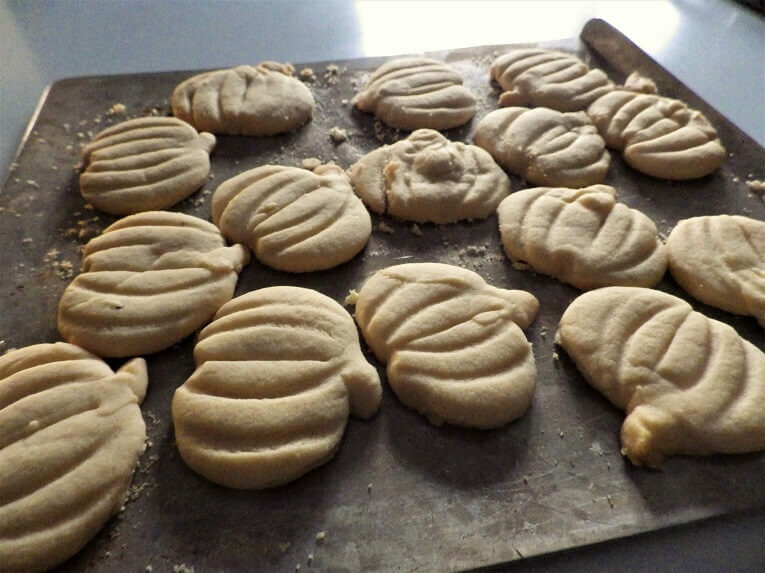 Try to approximate an oval, pumpkin shape. You can roll out the dough and cut it with a small bowl or even buy a pumpkin shaped cookie cutter if you like. 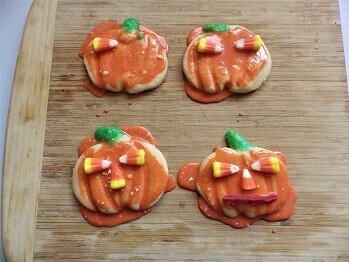 You also need to add some pumpkin stems using trims from the cookie dough. 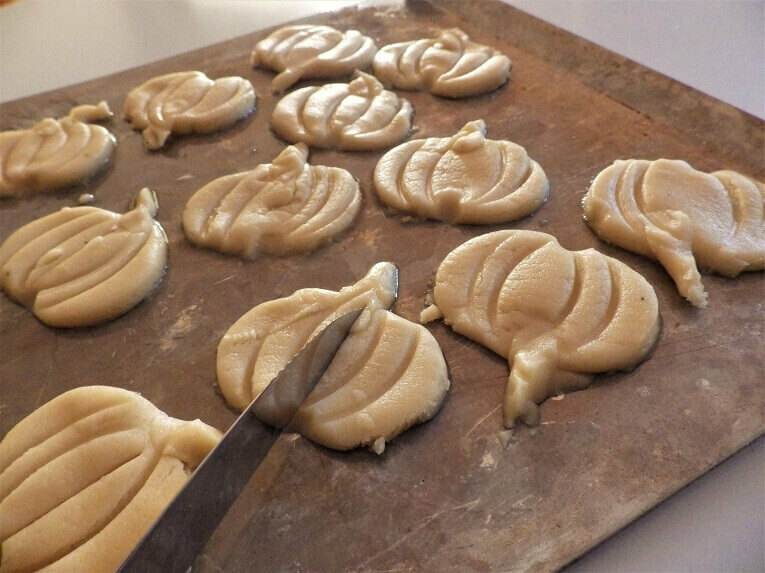 Just try to approximate a pumpkin shape. Bake the cookies at 375°F./ 190° C. for 12 to 15 minutes. 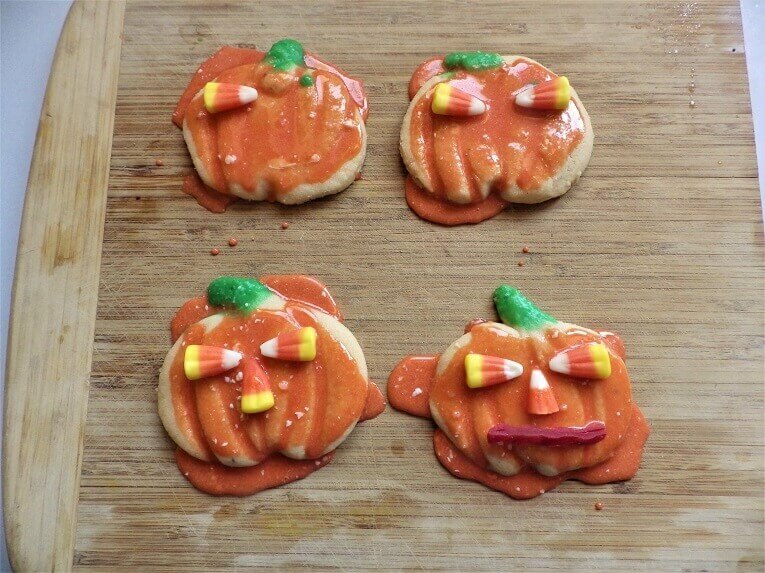 When done, let cool and spread with the icing and add the candy decorations. In a bowl, combine butter, milk and vanilla. 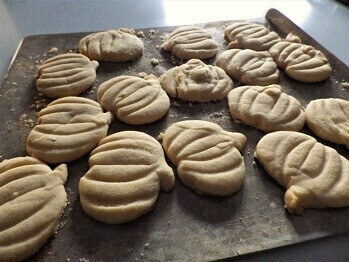 Whisk in confectioners’ sugar until smooth. Transfer about 1/4 cup icing to a small bowl; dye with green food coloring. remaining icing with orange food coloring. Spoon green icing onto pumpkin stems. Spoon orange icing over rest of cookies. Add candy corn as eyes and licorice for mouths. 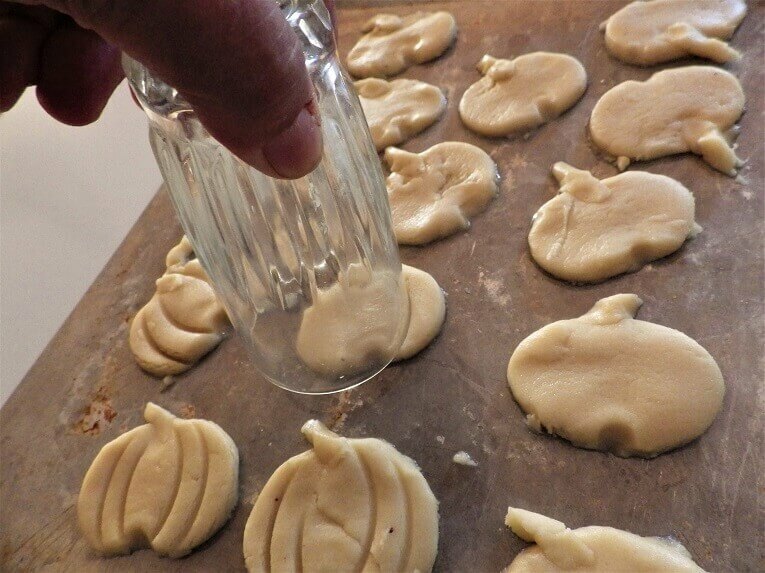 Let stand at room temperature for at least 6 hours to allow icing to harden.